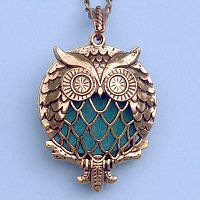 - It's aromatherapy... on the go! This cleverly designed pendant allows you to enjoy the benefits of aromatherapy throughout your busy day. 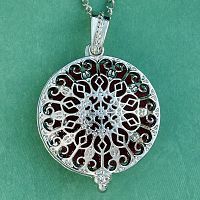 Just add your own essential oils or fragrance oils to a felt pad within the locket. It's that simple. 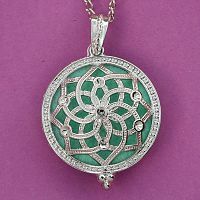 Small magnets at the base of the locket allow for easy opening and closing. 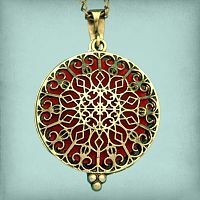 Bronze colored locket measures 1 3/8" in diameter, and comes with a 32" chain. 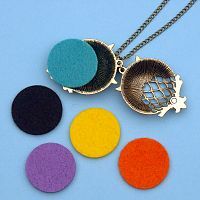 Also includes 5 felt pads in assorted colors (colors may vary). Do you have any other questions about our Owl Aromatherapy Locket - Bronze Tone? 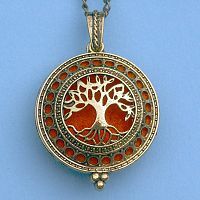 I love this aromatherapy locket. 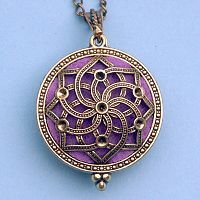 I put my favorite oil (Heliotrope) onto the felt pad that rests within the magnetized locket. 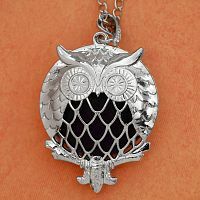 I was concerned at first that the oil would escape the locket and get onto my shirt, but the sturdy felt pads that come with the locket don't allow for any leakage. 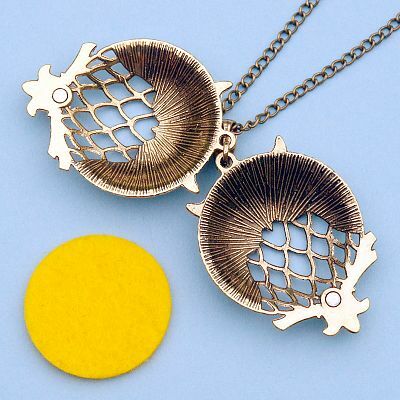 Terrific product! I highly recommend it to those that are interested in having their favorite scents with them at all times.